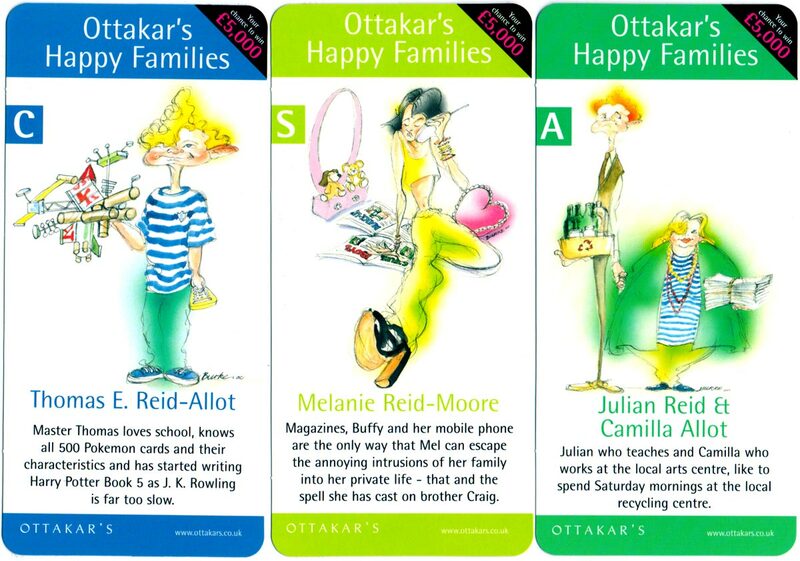 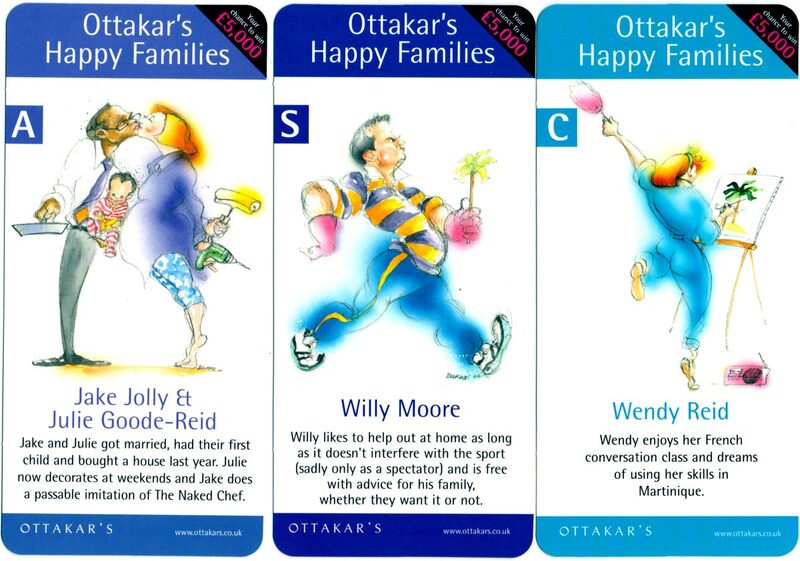 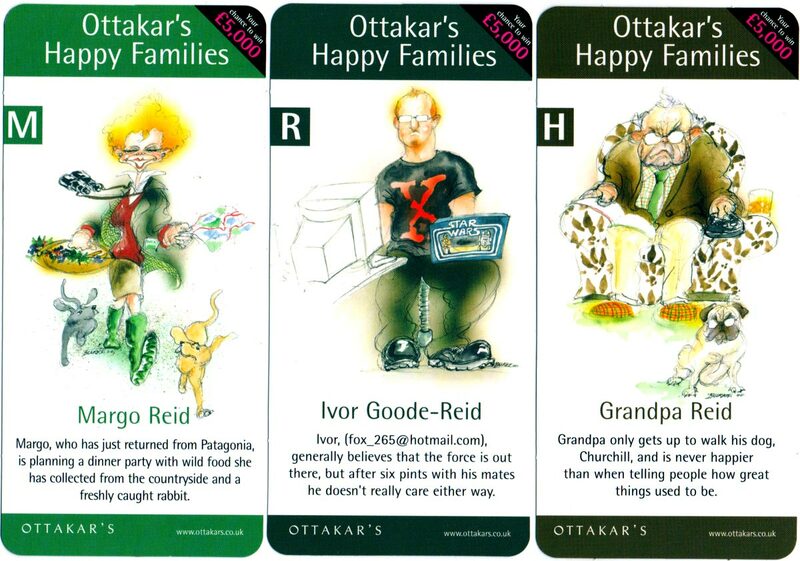 Above: Ottakar’s Happy Families cards designed by Chris Burke as part of an in-store promotion, 2000. 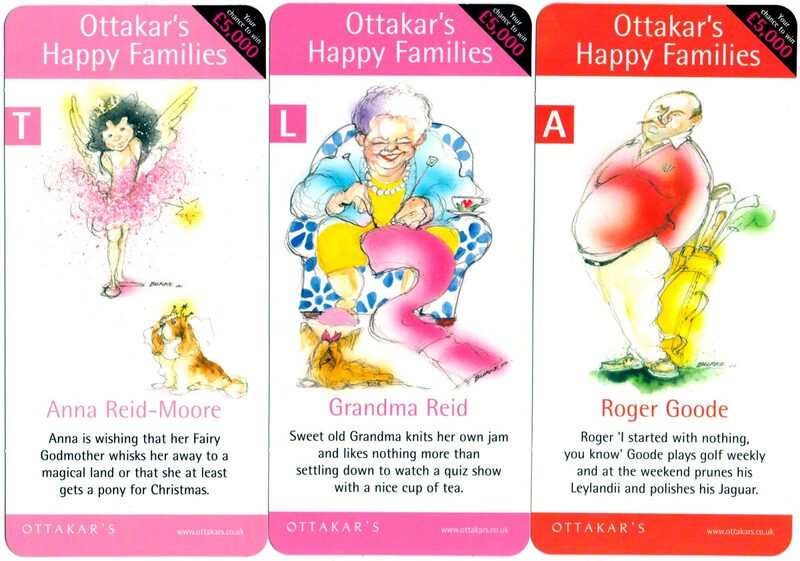 15 cards each measuring 75 x 158 mm. 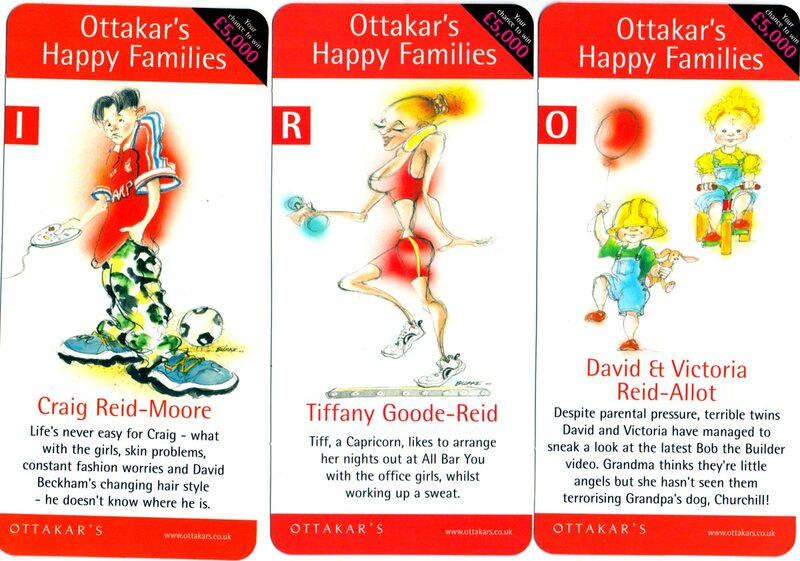 A prize of £5,000 was offered to the first correct entry in a competition which ended on 24 December 2000.